IRELAND’S WOMEN’S HOCKEY team did not have to pay a levy of €550 each before the event, according to Sport Ireland and Minister for Transport and Sport Shane Ross. Calls had been made to refund the levy to the women, after they reached today’s world cup final (which you can follow via the liveblog here). Peter Horgan, a Labour Party local area representative, had called on Sport Ireland to refund all of the Irish women’s hockey squad their €550 representational fee as a gesture of goodwill. However, speaking to RTÉ Radio One’s This Week programme today John Treacy, CEO of Sport Ireland, said that the women did not have to pay such a levy. He said that the levy was stopped after the Rio 2016 Olympics. He said similar issues regarding a levy would have previously been raised with paralympians. “They were fundraising themselves. We got the funding up to a level where that didn’t happen anymore,” said Treacy. He said that for the last two years, funding had been provided to athletes. He said that €45,000 in expense money was provided to the Irish women’s hockey team. He said alongside this, €520k in high performance funding was given to them, along with €60k for both World Cup campaigns, €45k in terms of carding, and additional co-funding of €260k. He said Sport Ireland would love to give the team more but is limited by its budget. Sport Ireland’s budget for high performance sport this year is around €10 million. The government launched its latest sports policy last week, and in it promised to double funding to sport. Treacy said that investment is needed quickly in terms of high performance sport, particularly with the Tokyo Olympics coming up in 2020. Minister Shane Ross aid that Hockey Ireland did not levy the players this year. He said this included specific allocation support athletes – €45,00 for the Word Cup campaign and €60,000 in special grants. Total spending to Hockey Ireland for 2017-2918 is €1.81m. “It is kind of being downplayed. People say €1.81m isn’t enough, I don’t know if it is. We can’t give money to everything, but we are just delighted with the result,” he said on Friday. We have also promised that we will spread the funds available for various sports in a more concentrated way for those that are successful rather than give it across the board to those that aren’t, so targeted and hockey, given their success will be part of the targeted funding. They are justifying in their success that they should be looked at for increased funding. 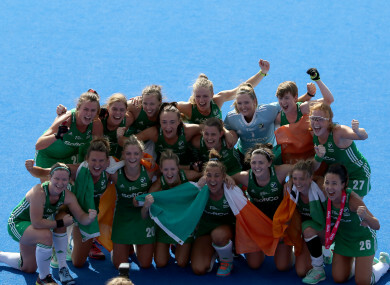 Email “Irish women's hockey team members 'didn't have to pay €550 levy for World Cup'”. Feedback on “Irish women's hockey team members 'didn't have to pay €550 levy for World Cup'”.